An allcredit novated lease provides a range of benefits for both the employee and the employer. Employees can save thousands of dollars in lifetime ownership and maintenance costs of the vehicle in addition to the tax benefits and huge savings available through the allcredit corporate vehicle purchasing program. Through an allcredit novated lease an employer is able to provide a significant financial benefit to their employees at no cost to themselves. An allcredit novated lease is a win-win proposition. Your allcredit novated leasing consultant will help you to select the right vehicle, arrange a huge fleet discount on new vehicles, offer flexible lease terms and arrange the most competitive interest rates currently available for novated leasing in Australia. Couple all this with the convenience of our allcredit motorpass card and the absolute security of the allcredit fleet comprehensive insurance cover to protect you against unforeseen events and you have the best fully maintained novated lease product available in Australia today. With your allcredit novated lease we include not only the financed lease costs but also a budgeted amount for your fuel, servicing, tyres, registration, insurance, and even car washes. 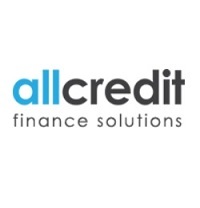 By having an allcredit motorpass card you will never have to pay cash for any of your vehicles running costs again. The team at allcredit novated leasing will always ensure we treat each and every client as if they are our only client. We will guide you each step of the way to ensure you fully understand the process and will always be here for you to speak to during the period of your lease. Experience the allcredit novated leasing difference to truely understand why this is the way leasing should be. If your employer offers salary packaging then allcredit novated leasing will work with your nominated salary packaging company or your payroll department to ensure your novated lease is set up correctly first time every time. If your employer doesn’t offer you the ability to salary package your motor vehicle an allcredit novated leasing specialist is available to discuss the process with your employer and explain how easy it is to provide this exceptional employee benefit. Reviews may be edited to accommodate display requirements or to remove inappropriate content at the discretion of the administrator. By submitting this Review I/We agree that Cockburn Central Motors, T/A Car Giant WA, may display these comments in full or as edited to comply with the forum’s intent. Submissions may appear on other 3rd party sites or be indexed by search engines. Authors may request that their reviews be taken down by Email the Administrator. Please make reference to the specific review. Confirmations will be sent to the email address provided. Please allow 48 business hours for a reply.